Members of a Scottish council accepted gifts and hospitality from two mining firms which went bust leaving a £132m shortfall to restore opencast sites. The members' register at East Ayrshire Council shows up to 15 councillors declared gifts and hospitality from Scottish Coal and ATH Resources. Among the declarations were a trip to watch Celtic play Barcelona in Spain, food hampers, lunches and alcohol. The council is probing failures among officials over the firms' collapse. a dinner/dance and overnight stay in Queensferry Hotel. Fiona Lees, chief executive of East Ayrshire Council, said: "It is a councillor's responsibility to make decisions about whether they have to declare an interest or make a judgement as to whether a declared interest prevents them from taking part in any discussions or voting." She added: "However, councillors are able to seek advice from council officers in regard to declarations of interest, but the ultimate decision in declaring any interest remains with the individual councillor." Scottish Coal, which operated opencast mines in a number of areas in central Scotland including Ayrshire, South Lanarkshire and Fife, went into liquidation in April last year. Another company running opencast mines, ATH Resources, was wound up in May. 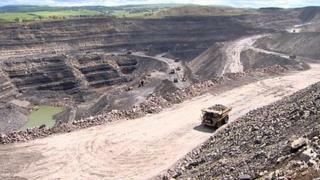 The cost of restoring the opencast sites once they were closed was to be paid by restoration bonds from the operators. Following the collapse of ATH and Scottish Coal, it was discovered that the value of the bonds were significantly short of the clean-up costs. Last year, East Ayrshire Council said the total notional cost of restoration of 22 mines in the areas was £161m but only £28.6m was set aside in restoration bonds. An independent review of the council's planning authority role highlighted failures among officials. Some individuals may face disciplinary action when the council's investigation concludes by the end of March.